Wookiee Weekend! 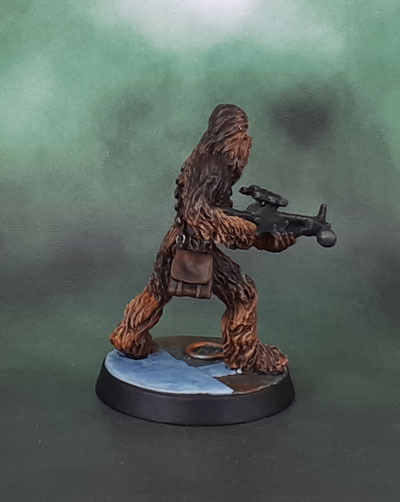 Star Wars Imperial Assault: Chewbacca | Azazel's Bitz Box. The conclusion of Wookiee Weekend presents the most famous Wookiee of them all, Chewbacca. In fact, if you’re reading this blog and you don’t know who Chewbacca is, you’d better turn in your geek card immediately. Given just how famous Chewie is, there are no shortage of quality film-accurate reference pics out there, so it was easy to get a good one to ensure maximum accuracy. Here he is relaxing and Being A Very Good Boy. Such A Good Boy! Jokes aside, it was important to check reference pics because while many of us may mentally picture Chewbacca as being one or two shades of brown – possibly through growing up with Hasbro or even Kenner Action figures – he’s actually got quite a distinct pattern with more variation in his fur colouration in most examples of the fursuit, though his hairstyle has changed from film to film slightly (Jedi, especially!) Since I wanted to do justice to the main Wookiee, I checked several references in order to get it reasonably right. I actually started all of the latter four Wookiees after Gaarkhan at the same time, but the two nameless warriors were the first completed, so I could get a bit more practice in, then Chewie more than a week later, and finally Gaarkhan, just a couple of days ago. I changed the post order for the final two because, well, Chewie needs to be the big finish for any batch of Wookiees. As requested by Faust, here’s an all-Wookiee (dance) par-tay. (Luckily I was going to do it anyway!) Wouldn’t want this lot kicking in your door, that’s for bloody sure! The heroes get indoor/spaceship themed bases, while the Warriors get something a bit more appropriate for the forests of Kashyyyk. As you can see, I’ve given them all distinctive fur colouration (coats?) while following the art for the game-original heroes and photos for Chewie, and natural-looking variation for the two nameless ones. 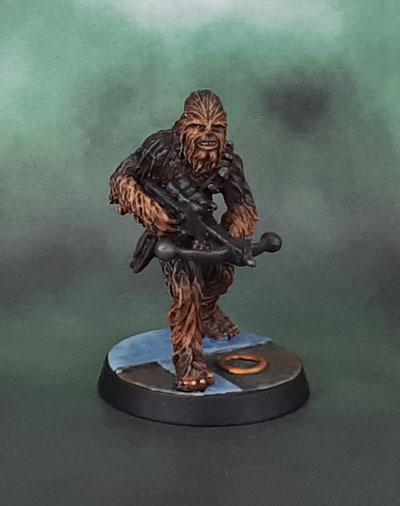 This entry was posted in Board Games, Star Wars and tagged Chewbacca, Drokkatta, Gaarkhan, Imperial Assault, Star Wars, Star Wars Imperial Assault Chewbacca, Wookiee, Wookiee Warriors. Bookmark the permalink. Excellent stuff and nice line up of the lot of them – they really do look good! Thanks, JNV – the best part? No more Wookiees to paint! Done! Excellent work- nailed the look of him spot on. Probably my favourite character in the films even if he doesn’t get any dialogue…. It would be hilarious for him to then meet a sober Wookiee, and have no idea what they’re saying, because it doesn’t sound right with actual enunciation, and they can’t understand Chewie, because he’s so hammered. Following on that general train of thought, I’d like to think that sober Chewie sounds exactly like Patrick Stewart. Thanks mate. I’ll get subbed in just a minute. Great stuff as usual and the group shot makes for a brilliant final picture. Yeah, spot on mate, absolutely nailed it. This post has got me wondering what the collective noun for a group wookiees is! There isn’t an official one, and none of the various fan suggestions seem to have caught on. Of the various possibilities suggested, a Pride of Wookiees sounds the best to me, but I’m also kind of partial to a Floof of Wookiees. …and then I read Alexis’ response. I imagine it might depend on who you’re asking – a ‘pack’ if you’re Imperial, or a ‘pride’ if you’re on the Alliance side? Who am I kidding? It’s Star Wars. Some writer will have thought of that 15 years ago and come up with a ridiculous term that references Yoda or something. The OG Wookie! Great job, too, instantly recognizable as Chewie. Man. You’d be spending a fortune on lint rollers with that lot around. I wonder how many of the Falcon’s mechanical problems ended up being caused by accumulations of Wookie fur? Who cleans the shower? That would be my worry. Awesome job. They all look great. 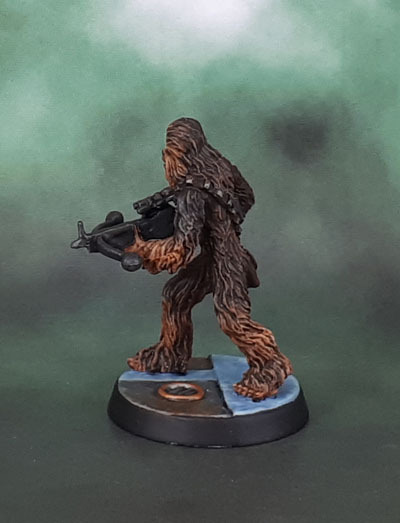 I’ve only got one wookie to paint, but at least I’ve got a range of ideas on how to do him. Thanks! Hope you find them useful for ideas! Nice work, man! 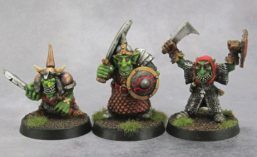 Love the lot of them, and they certainly play up to your strengths at painting fur. 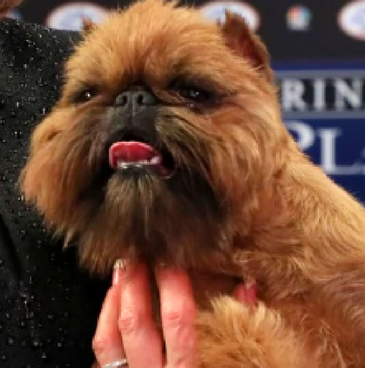 I had a look at images of Chewie, and didn’t realize he had such a distinctive fur pattern. Guess I chalked it up to different lighting, but I could definitely see it after you pointed it out. What did you do on the bowcaster? Looks like black with some grey highlights? That’s another one I would have got wrong without references. Thank you. I honestly didn’t fully realise it either until I started looking up reference photos. The bowcaster was first painted black, then a dark metal (Vallejo Model Air Black Metal), then a very careful spot drybrush with a less-dark metal (Leadbelcher, maybe? ), then washed with Army Painter Dark Tone to bring it down again – though it seems there might be variations on the Bowcaster scheme as well. Hmm, is that VMA Black Metal or just VMA Black? I bought a VMA Metal set, and I don’t see a Black Metal. That would probably be a handy one. It’s not too shabby, though you can obviously just add black to other silver-type metallics and get a similar effect. Great stuff, on all your Wookies (what is the collective noun for Wookies anyway?) Chewie especially looks the business! According to Alexis, nothing official. So I’m going with Pride (if you like them) or Pack (if you don’t.) And thanks! Sweet work. Your Chewie looks very like the film versions, the effort you put into getting the brown tones right has paid off. My favourite Chewbacca moment is in Robot Chicken Star Wars, where he takes Han back to meet his family and they are all wearing normal clothes. Thanks mate – very happy to hear that it paid off. I’m also a big fan of the work of the old Stoopid Monkeys! Very, very nice Az man. Everyone has a soft spot for Chewie and you’ve done him justice here my friend. Thanks, IRO. As you say, Chewie is beloved, so it was important to get him right! That accuracy on the fur pattern is insanely good! Incredible!